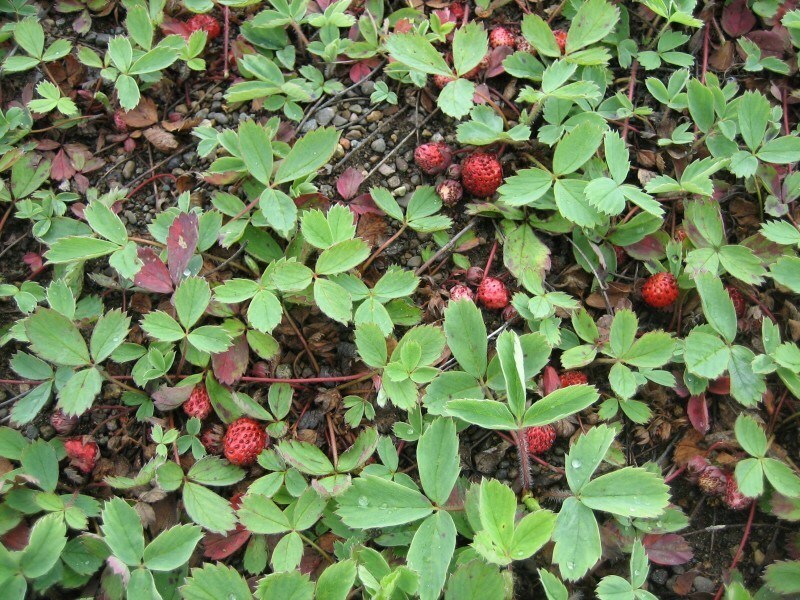 Habit: the leaves of this strawberry are semi-deciduous, turning red in fall and persisting through a mild winter. Plants are horizontal and reproduce through short runners. The bluish green leaves are comprised of three leaflets which are oval yet widest near the top, with toothed margins. Two to 15 flowers bloom from late spring to late summer and are white to pale pink producing a small delectable fruit. Ecology: the most widely spread of all the native strawberries, occurring in all of the United States and Canadian Provinces. Found at low to fairly high elevations between 4000-10,800 ft (1200-3300 m) in open meadows, streambanks, and open forests in the mountains in rocky to sandy soil. Growing Conditions: full sun to partial shade in moist well-drained soil.